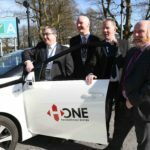 On Wednesday March 28th 2018 Cormac Walsh of ECI participated at the NUI Galway Launch of the Smart Renewable Hydrogen White Paper. With the sun beaming down it was a perfect day to be on the NUIG campus and seeing it in all it’s splendor. Hydrogen (H2) can be used as a renewable energy storage medium and an energy carrier. This allows the reduction of wind and solar intermittency and once transported it enables the energy to be used elsewhere as and when required. In transport, hydrogen can reduce emissions and improve air quality at the same time. In heating hydrogen can be used as a low carbon fuel source replacing fossil fuels. Today however, 95% of all hydrogen is produced from fossil resources. GenComm will produce Smart H2, a renewable and low-emission alternative to fossil fuels, with low impact on natural resources throughout its entire life cycle. NUI Galway will play a key role in the GenComm project, managing a Work Package that will look at the ‘long term effects’ of the project. The main output of the project is a hydrogen-based energy model. 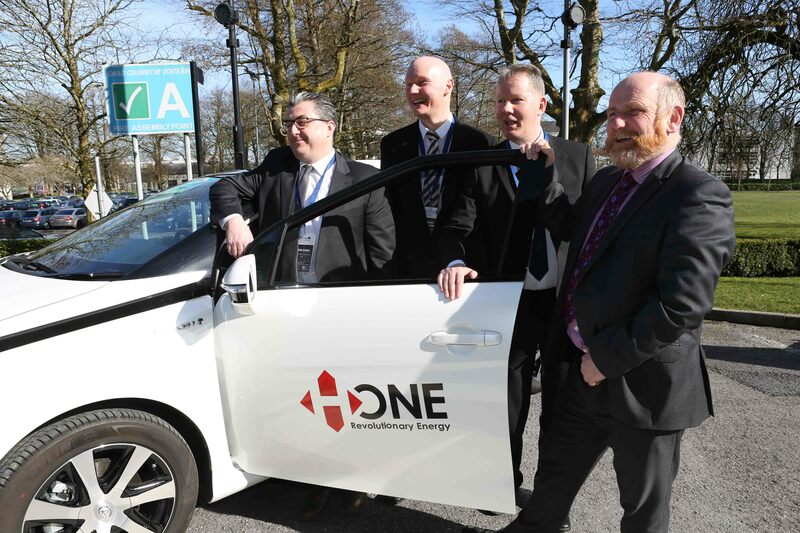 NUI Galway will adapt this model to a create an online tool to support Smart H2 investment decisions, allowing communities to plan and implement their own hydrogen-based energy systems. The GenComm project is funded through the Interreg North West Europe Programme.